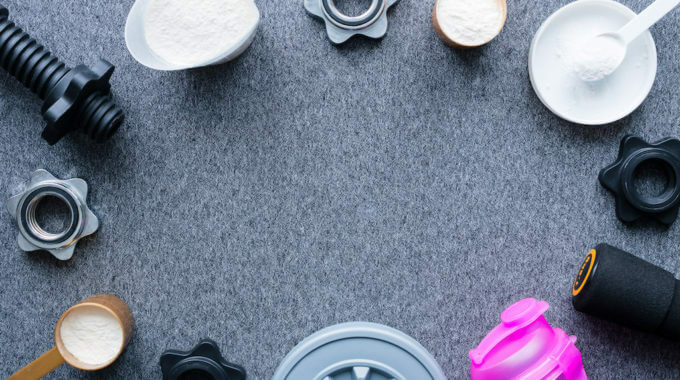 So you’ve decided to add Halal Whey Protein to your diet, but don’t want to get into the usual debate of whether regular Whey protein is Halal or Haram. But are there any Halal Whey protein brands to choose from? In this article, I reviewed and ranked the 13 best Halal Whey Protein Brands currently available on the market. Six are Halal certified by the Islamic Foods and Nutrition Council of America (IFANCA) and 7 are Halal-friendly. N.B: There are two Halal Whey my tool couldn’t display on the comparative table below. The first one is Bulk Powders, a Halal Whey protein from the Uk, and the second one is Kaizen Naturals Whey Protein Isolate, a Halal Whey protein manufactured in Canada. So if you are from Canada or the UK scroll down to the reviews section to learn more about these two brands. In fact, the non Halal certified are either Kosher or vegetarian (Don’t use animal rennet). The ethyl-based alcohol acts as a solvent to dissolve certain flavors/chemicals. This ethyl alcohol is then removed completely and so is not present within the finished product. If the Whey is organic USDA certified then there’s no alcohol involved in the fabrication process as chemicals are not allowed in order to be considered organic. Also, keep in mind that there’s a divergence among Muslim Scholars regarding the use of synthetic alcohol as a processing aid ingredient in foods. For instance, Muslim Consumer Group (see criteria n°15) considers such products as Haram while for Hanafi Scholars such products are Halal. Anyways, this isn’t the same alcohol found in pastries and chocolates and you’ll not find any taste of odor of alcohol in Whey Protein Powders. If you want to take your Whey Protein with peace of mind, then look for one with a Halal Certificate from a credible Authority or a Kosher logo. Additionally, there are some ingredients to avoid as much as possible in order to get the best quality possible. Though you won’t be able to find a Halal Whey Protein with only protein in it, because there’s always some other ingredients to make the whey creamy or mix well. But the idea is to look for a Halal Whey Protein with the least amount of added ingredients. The less there is the better. Artificial sweeteners: Saccharin, acesulfame, aspartame, neotame, and sucralose have several side effects such as headaches, anxiety, bloating, intestinal cramping and tooth decay to cite a few. Gluten: These proteins found in wheat can cause some adverse effects on people with celiac disease. Fillers: They include carrageenan, dextrins/maltodextrins, flavorings, preservatives, skim milk, dyes and related chemicals and are not naturally present in the protein source. Gums: Helps thicken the Whey but can cause gas, bloating and constipation. 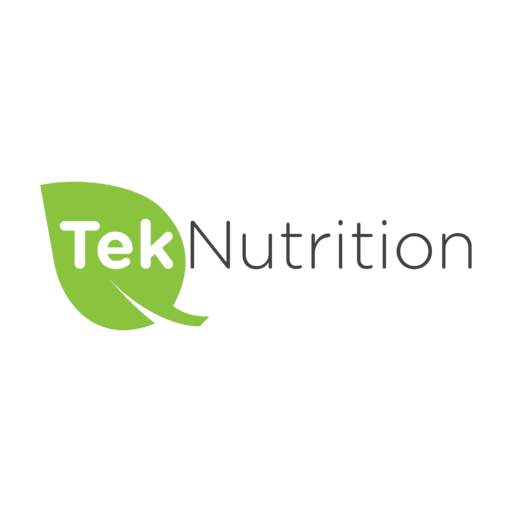 Lecithin: A fat derived from soy to smoothens Whey protein. Whey protein is a complete protein since it contains all 9 essential amino acids that cannot be synthesized by the body. 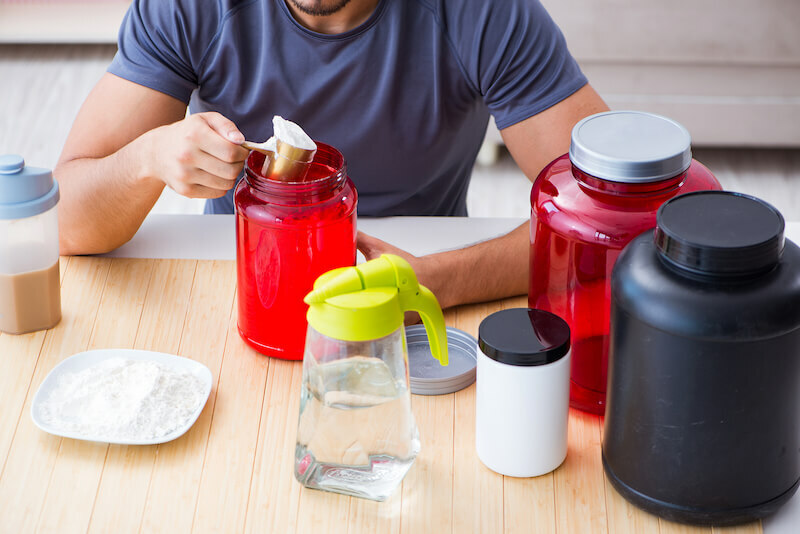 Whey protein is a convenient and cheap protein you can take with water, and beverages or incorporate in creative recipes to meet your daily needs of protein. According to studies 7 8those needs are around 0.83 grams per kilo per day for an adult and can go up to 1.8 to 2 grams for exercising individuals 9. As for Whey protein, it is generally recommended to take 20 to 25 grams per day 10 either before, during or after workouts. This Whey protein concentrate is certified Halal by the Islamic Food and Nutrition Council of America (IFANCA) and tested by the Public Health and Safety Organization (NSF). It has 30 grams of protein and 7.3 grams of BCAAs per serving with no added sugar and no fillers. The only drawback to this Whey comes from its artificial flavor. 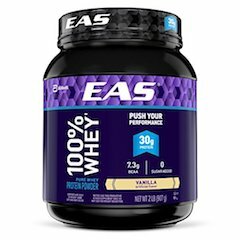 The EAS 100% Whey protein is available in 3 flavors (chocolate, vanilla, and strawberry), and 3 sizes (907 grams, 2.27 kg, and single serves of 43 grams). 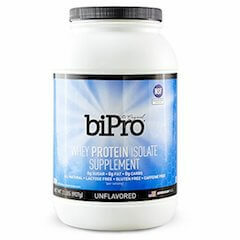 BiPro® The Original Instant Whey Protein Isolate is another Halal Certified Whey protein by IFANCA from Agropur, Inc. It’s also NSF certified for sport. The Whey is isolate which means it’s more pure with fewer carbs and fats. Indeed, this Whey has 0 grams of carbs, 0g fat and 0g sugar with 25 grams of protein including 2.5 grams of Leucine, one of the 3 Branched Amino Acids (BCAAs). Unfortunately, the only available Halal certified version is unflavoured and comes in 2 sizes, 1 pound (454 grams) and 2 pounds (907 grams). When it comes to Halal supplements, NutraBio is a well-known brand that offers many Halal certified products. And this Whey protein isolate is another Halal certified supplement by IFANCA. This Whey isolate contains 25 grams of protein, 5.3 grams of BCAAs and comes free of Fillers, artificial colors, excipients, added sugar, carbs, proprietary blends, ion exchange maltodextrin or dextrose, and whey concentrate. This Halal certified Whey comes unflavoured as well as in Alpine vanilla and Dutch chocolate flavors and is available in 3 sizes: 1 lb, 2 lbs, and 5 lbs. The ProStar Whey protein comes in 3 versions: The unflavoured, the chocolate crème and the vanilla crème version and is Halal certified by IFANCA. This is a concentrate Whey with 25 grams of protein and 6 grams of BCAAs per servings. Organic Valley WPC is another Halal Whey protein certified by IFANCA. It comes in canister powder of 340 grams and single serve packet of 35 grams with 2 flavors, chocolate, and vanilla. Additionally, it’s organic, has 26 grams of protein per serving and is free of Lactose, gluten, and GMO ingredients. 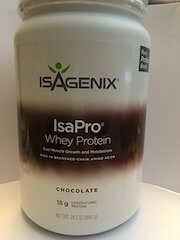 Isagenix offers a canister of 690 grams of Whey Protein Concentrate that contains 30 servings of 18 grams of protein each. The Whey is Halal certified by IFANCA and available in chocolate flavor. This Whey Isolate contains 90% protein and is rich in muscle-building branched chain amino acids (BCAAs). The container comes with 33 servings of 30 grams. Each serving offers 27 grams of protein and less than 1 gram of fat. The Whey does use soy lecithin as an emulsifier but is free of gluten, corn yeast, and added sugar. Free of Yeast, gluten, corn and artificial additives. 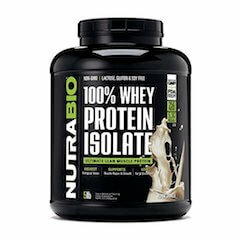 The Informed Whey isolate from Bulk Powders is a Halal Whey Protein from the UK that offers 24 grams of protein which make up 81% of the Whey, 3 grams of Glutamine, and 3 Grams of Leucine per serving of 30 grams. You’ll also benefit from the presence of probiotics in this Whey. However, This Whey does contain Gluten in the form of Glutamine peptides and Citric acid and uses Sucralose as a sweetener and Xanthan Gum as a thickener. The informed Whey is available in Chocolate Hazelnut Biscuit, double chocolate, salted caramel & walnut, strawberries & cream, and vanilla bean flavors. The double chocolate flavor seems to be the favorite of most customers. I did reach out to the company to see if they have any Halal certificate and they told me that they’re Halal certified by the Halal Trust but I’m yet to see a Halal logo on their products. 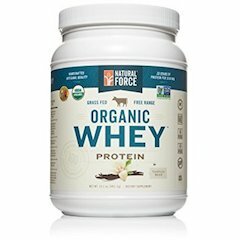 Natural Force’s Whey is USDA organic certified and contains only 4 ingredients or less. Furthermore, USDA doesn’t allow the use of chemical solvents when certifying organic products. Hence this product doesn’t use ethyl alcohol as a solvent in its flavors. This grass-fed Whey Protein powder is sourced exclusively from family-owned farms in Northern California and is Kosher-certified. 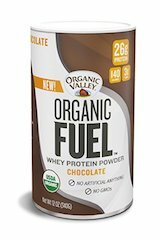 This Whey Concentrate is available in cacao bean, coffee bean, and vanilla bean flavors and offers 20 grams of protein per serving. If you want to build lean muscles and are seeking a vegetarian Whey, then, this Whey Protein Isolate from Kaizen Naturals in Canada is the right product for you. The Whey is free of preservatives, artificial colors, flavors, aspartame, and sucralose. It also is non-GMO and Gluten-free. Each container offers 47 servings of 42 grams and each serving contains 35 grams of protein, 3 grams of carbs, 1 gram of fat, and 0 grams of sugar. The Summit Nutritions’s Whey Protein Isolate is Kosher certified, naturally flavored, and sweetened by stevia. One container offers 31 servings of 29 grams and each serving contains 26 grams of protein, 5.6 grams of BCAAs, and 4.8 grams of Glutamine. The only drawback of this Whey is the presence of xanthan gum (350 mg). It is available in natural Alpine vanilla and natural Dutch chocolate flavors. 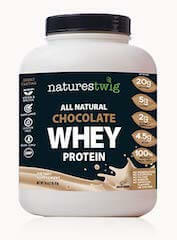 NaturesTwig Whey is another Kosher-certified Whey Concentrate on our list. It is available in chocolate, cookies & cream, peanut butter & chocolate, strawberry, and vanilla flavors. It comes free of gluten, preservatives, artificial colors or flavors, fillers, excipients, and binders. You’ll get 20 grams of protein per servings and 4.5 grams of BCAAs. This Whey Concentrate provides 25 grams of protein and 5.6 grams of BCAAs per servings and is Kosher certified. It is naturally sweetened with stevia. However, it does contain some thickeners and binders in the form of xanthan gum, guar gum, and silicon dioxide. As you can see the range of Halal Whey Protein on the market is rather small. But that’s maybe just a start and we’ll see soon Insha’Allah other brands release Halal Certified Whey Protein Powders to go after this untapped market. As for our review, EAS Whey Protein is our best choice. I’ll be adding to this list as I know about any new Halal Whey Protein Powder and you can do the same in the comment section below. If you find this article useful or helpful, please give it a like or a share. What about100% gold standard whey protein, if I am not wrong there are some flavors which doesn’t contain alcohol like double rich chocolate, vanilla n others. ON isn’t Halal certified. However, when I asked them about the rennet part, I was told that this enzyme stays with the curd (solid part) and does not end up in the Whey. So somehow, it’s still Halal in my opinion. And don’t forget that this question is subject to scholars interpretation. 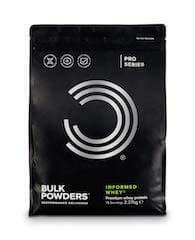 Is bulk powder whey PURE series halal? Is bulk powder whey pure halal? Are biotech usa products halal ? ON Serious Mass isbn’t Halal Certified and does contain at least one ingredient that is Haram. And that’s Triglycerides, which are a type of animal fat. This supplement contains up to 43 ingredients!!! Which is insane!!! Like most mass gainers it’s full of junks and sugar, just try to bulk up using natural ways. That is by increasing your caloric intake through whole foods.